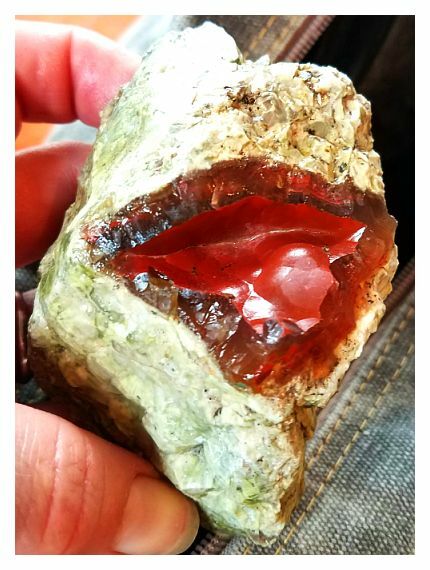 Thunder Eggs are the Oregon State stone for good reason. Because of the profuse volcanic activity over time, thunder eggs are scattered all over the state. The Egg description is from the configuration. They are literally lava and ash bubbles and take on uneven spherical shapes for the most part. Like Easter eggs, they are often times hidden and always fun to find. The terrain reflects the intensity of the volcanoes in the area. Erosion leaves spires and canyons between the soft and hard minerals left from lava flows. 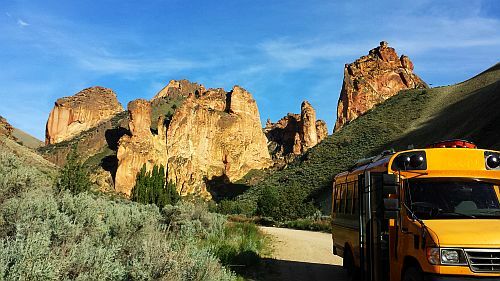 These incredible areas are where one may seek these treasures like this picture taken near Succor Creek in the Owahee desert. The center of the egg can be filled with Jasper, Agate, Quartz, and even Opal among other minerals. Opening them is like biting into a chocolate or opening up xmas presents. The color of the material is dictated by the adjacent minerals during the volcanic and settling events. Just like Picture Jasper and other gemstones presenting landscapes, Thunder Eggs can exhibit fantastic little dioramas. Have you ever seen a sugar egg where you peer through a hole and see a miniature scene? Cutting and polishing these gems can have the same effect with a myriad of different tiny worlds revealed. We were going after the blue material in the Blue Bed, Central Oregon, when we pulled up not only the blue but also the pink material in the picture before and the multicolor in the picture before that. The 'fortification lines' do fancy dances while the different materials put on quite a color show. We are just scratching the surface of the egg on these, way more to come!